SEO leads present you with numerous opportunities to “smell” online sales potential. In a highly charged online marketing environment, you need a heightened instinct of generating app development leads to keep your business visible among your potential customers. Additionally, your online marketing partners will impact your chances of converting web visitors and curious observers into potential and real customers. OurTechFriend.com is one of the marketing partners you can team up with as you seek to elevate your marketing pedestal. This post is going to share with you how you can blend OurTechFriend.com’s lead generation offers with other strategies to get more accurate leads. Below are some of the methods you can leverage alongside what our team of friendly experts provides. Images speak louder than words, especially written ones. That is why you need to maximize the audio-visual potential that YouTube offers to generate app development leads by sharing your videos. This platform is not just popular, but it also offers you a wide outreach. Additionally, your shared videos will stay there longer than Facebook or Twitter giving you a steady opportunity of engaging in long-term web traffic referrals. Another way of generating web design leads is developing your social listening skills. Without a sharp ear that pays attention to what your followers and friends are saying on your social accounts and pages, you will lose touch with their needs, preferences, and trends. That is why you have to consider carefully their comments or complaints so that you can tailor your outreach messages to address those issues. LinkedIn is another reputable business-oriented site you can use to generate SEO leads for your business. It allows you to publish your content and upload your videos while sharing a platform with seasoned experts from who are influencers in various fields. 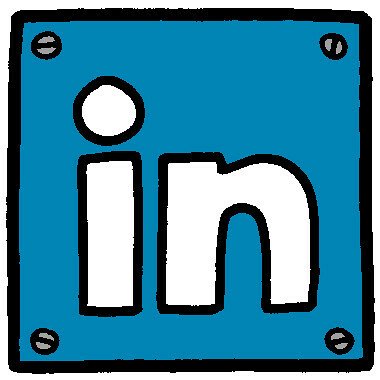 Moreover, LinkedIn provides you with an audience of more than 400 million professionals. Lastly, you can also leverage Twitter and generate web design leads for your business. This social site has millions of users and influencers from across various industries. You can connect with the thought leaders and influencers from your industry and start conversing with them. By so doing, you will tap into their fun base because they will also follow your conversations and respond by either following you or visiting your website. Additionally, you can join trending discussions and share your thoughts thereby creating a wider pool of leads.